I had reservations about Castle Rock, Hulu’s second J.J. Abrams-produced stab at the Stephen King canon. (How much of 11.22.63 did you stick around for?) As a self-proclaimed King purist, I rankle at bad interpretations of his work, even when they come from his own hand: He may be the most consistently solid authors alive, but he still brought Maximum Overdrive into this world, along with that miniseries version of The Shining with Steven Weber. But okay, maybe this is parsing horror hairs for another time. 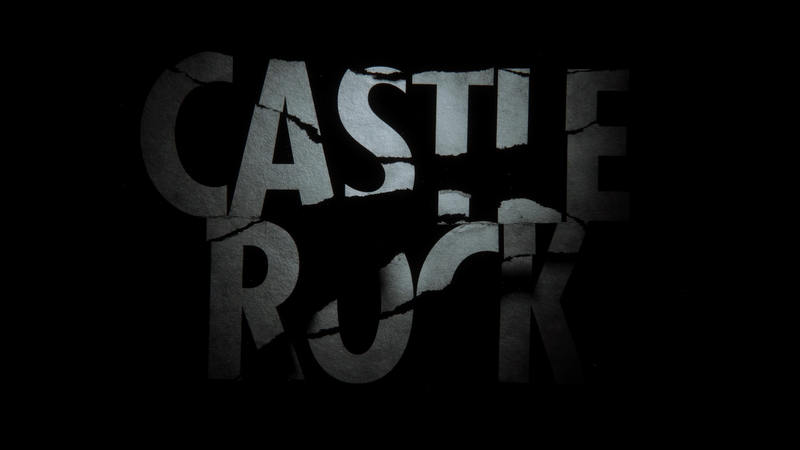 But look no further than Castle Rock’s opening credits to see just how skillfully this story will be told. I can’t think of another show whose credits sequence not only sets the tone for what follows, but is also packed so full of key information: What parts of the author’s back catalog will be in play during this narrative and how? Like a good opening should, it raises a great mystery: Who’s writing these notes in the margins of the pages being shown to us? I have my theories, but for now, let’s take it one frame at a time. A page from Needful Things, the most famous of King’s novels to take place in Castle Rock. In it, the devil comes to town in the form of an elderly shopkeeper, Leland Gaunt, whose curio shop sells items that the townsfolk find irresistible, and will go to any length to obtain. Ironically, it is Alan Pangborn, the sheriff, who appears in the show Castle Rock, who ends up defeating Gaunt. A blink-and-you’ll-miss-it page open to “Chapter 19,” the text above run through with yellow highlighter. The only text readable on the page is as follows: “Jimmy ran back to Matt’s room. ‘The line’s out at the Petrie house.’” This is from Salem’s Lot, set in the novel’s namesake hamlet, the third in the trifecta of major fictional Maine towns in King’s work, after Castle Rock and Derry. The table of contents from The Green Mile, which King published in six paperback volumes in 1996. The first one of these stories was titled “The Two Dead Girls.” But let’s pay attention to the words “Mouse” and “Hands” for now. Also of note: The Green Mile and The Shining are the only works cited in the credits that don’t take place in Maine. Here we have it all laid out for us, in the one deviation from the text: a map of these fictional King towns and their distance from each other, along with pertinent mysteries from those particular sites. There’s Castle Rock, only 20 miles from Derry, which is right next to another fictional King town, Haven, which is the “crash site” from The Tommyknockers. To the southeast you’ll see Little Tall Island from Dolores Claiborne and Storm Of The Century, with the notice of the 1963 eclipse letting us know we’re in the reality where Claiborne “sees” a young Jessie Burlingame getting molested at the bottom of her well while disposing of her own incestuous husband’s body—thus connecting Dolores Claiborne and the novel Gerald’s Game. “Arrowhead,” written beneath Bridgton, is the final piece of the puzzle, and it relates to an experiment that opened an interdimensional rift in The Mist. Dolores’ name, juxtaposed with that of castmember Melanie Lynskey, who was also featured in King’s Rose Red. A short, esoteric moment from The Shining involving Jack Torrance remembering his father beating his mother into a plate of mashed potatoes with his cane. Juxtaposed with Bill Skarsgård, Mr. Pennywise the Dancing Clown himself from It. A chapter heading for Misery’s Return, the final book in the fictional franchise written by captive author Paul Sheldon in the novel Misery. A brief mention of Cujo, next to the name Sissy Spacek, who is the titular character frokm Carrie. Now this is when things start getting good. Check out what’s a little “off” about this next batch of text: On the right, we see schematics for Shawshank Prison. And what could be more iconic than that famed phrase from The Shining, “All work and no play make Jack a dull boy?” Except that phrase was never in Stephen King’s novel; it was one of the many liberties that Stanley Kubrick took with the source material that became so closely associated with The Shining that we’ve forgotten King never wrote it. So what gives? Are we going to be working from the written fiction of Stephen King’s oeuvre, or are other adaptations of his work up for grabs as well? And what does that imply? And just to mess with us, here’s our next clue: that would be the number of the room that Danny is forbidden from entering in the novel version of The Shining. This was later turned into room 237 in the film. First we have a sign that we’re going to be leaving the territory of the pure text and adding in, let’s call it, King’s “expanded universe.” But that idea is negated immediately by the 217 callback, letting us know that the urtext still matters. Returning to our pièce de résistance, The Shining, here’s something to really blow your mind: Our note-taker crossing out 217 and replacing it with 237. This person knows there are multiple “realities” of King’s work, and it’s a major clue that the concept of “same same but different” will be pivotal to understanding the goings-on in Castle Rock. You can’t expect to know what’s going on just because it’s in the same town as Needful Things and Shawshank, or that some of the characters bear the same names as others from prior stories. This show is about echoes of the past, sure, but it’s also going to be a brand-new piece of terror.